In November, rumors arose that instead of killing the new He-Man movie, that they were talking to Kung Fu Panda co-director John Stevenson to helm the movie (Read: ‘Kung Fu Panda’ Director To Helm ‘He-Man’ Movie?). Today, this rumor became reality, as it was confirmed that Mr. Stevenson will indeed make his live-action debut with what’s been called Greyskull but is now apparently being called Masters of the Universe (I vote for the former). John Stevenson only has the experience directing Kung Fu Panda, so along with this being his first live-action go, he’ll also only be handling his second feature. Fortunately, the man has a ton of experience in the art/animation departments of many well-known movies such as Shrek 1&2, Labyrinth, and The Dark Crystal. As for the movie, it’s hard to tell what to expect. As we’ve mentioned before, the script review lead us all to believe that it was going to be a very cool, new look for He-Man in a Lord of the Rings-type world, but a lot can happen to a great script over the development period and it could end up just that good, or it could be a cheese-fest. 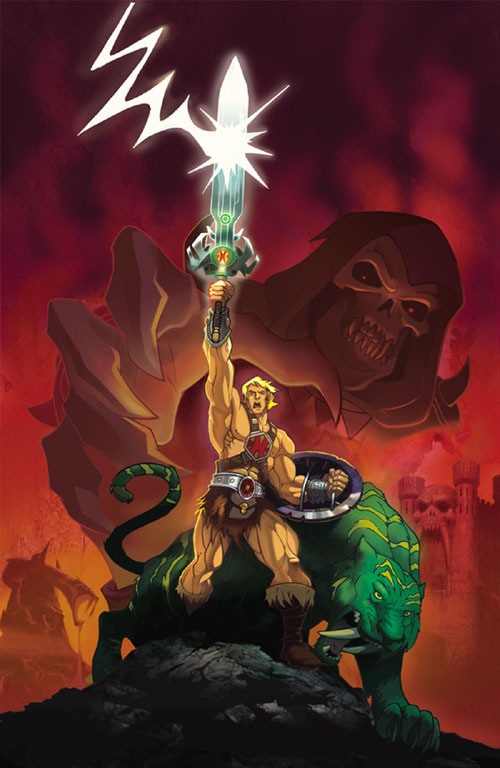 The first draft (the one titled Greyskull) was written by Justin Marks, who also handled the scripts for the Hack/Slash adaptation and the new Street Fighter movie. John had such passion that we found ourselves running to catch up with his vision. No word yet on cast or when the movie might get rolling. Joel Silver is producing.